Uniquely designed balls will catch on quickly! These balls have it all! 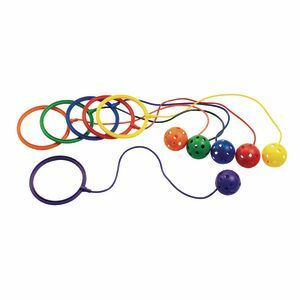 Easy to hold, throw, catch, clutch, toss, bounce, and roll. Made of very safe and flexible vinyl. Dishwasher safe. 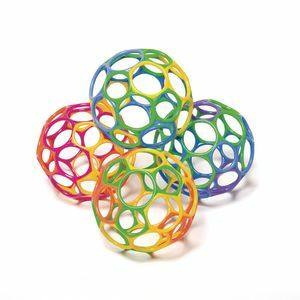 Set of four really catchy 4" balls. 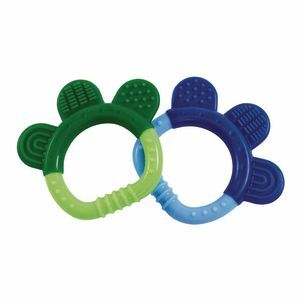 Soft, flexible teethers have a variety of soothing textures to sooth gums and emerging teeth. 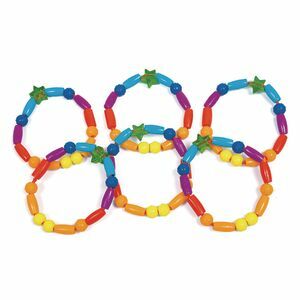 Each paw is 3-1/2"W.
Classic circles of safe teething beads will soothe gums during teething. 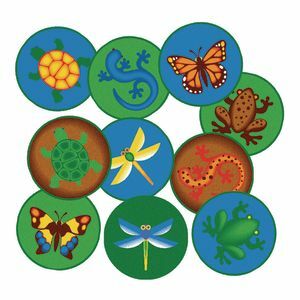 Bright colors, easy to grasp, encourages curiosity and emerging motor skills. 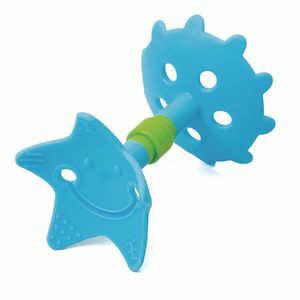 Soft silicone teether is designed for extra-easy grasping and holding. Lightweight, flexible, and tough! 3.25" long. Dishwasher safe.